I don’t know about you, but I have felt recently that (Blue Planet 2 aside) everyone in the world is slowly losing their minds. With further allegations of sexual assault and harassment swirling through Hollywood and Westminster; cabinet ministers giving false information about British citizens being held prisoner in Iran and handing in their resignations after being caught lying about meetings in Israel; not to mention the news that the EU is preparing for the possibility of the Brexit talks collapsing, the headlines really have have been writing themselves. 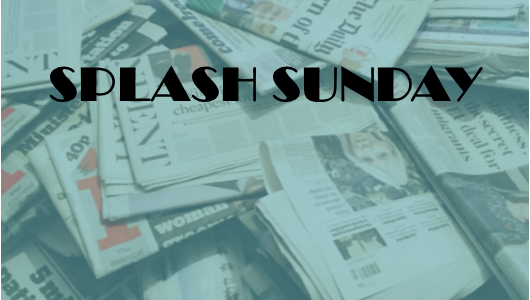 But, media madness aside, its been another successful week in the world of student journalism. With the arrival this weekend of Armistice Day, it was great to read an alternative perspective from Palatinate, on the meaning behind the symbol of the white poppy. 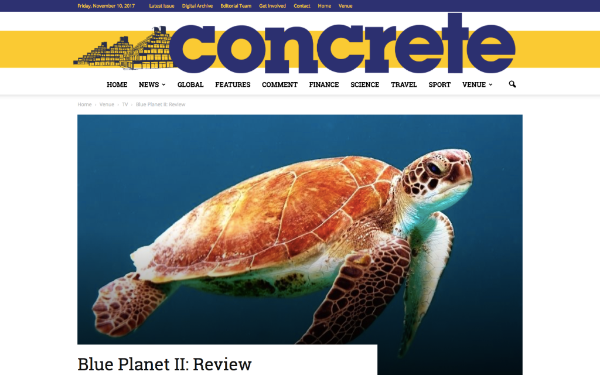 And there are some other great pieces in this week’s round-up: from Concrete, Epigram, and The Gryphon. Definitely take the time to check out their websites, where you’ll see loads of other fantastic stories. 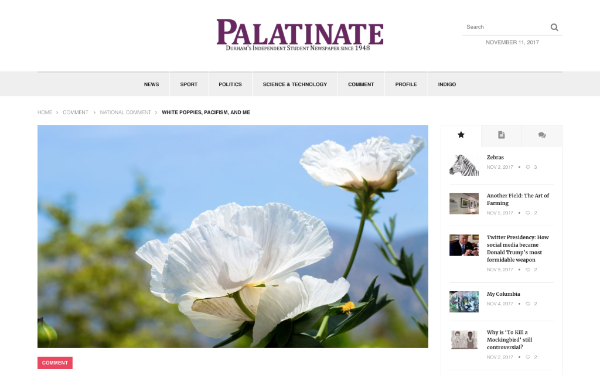 This is a great article from Palatinate about the white poppy. Interesting, thoughtful and topical, it makes for a great read on Remembrance Sunday. 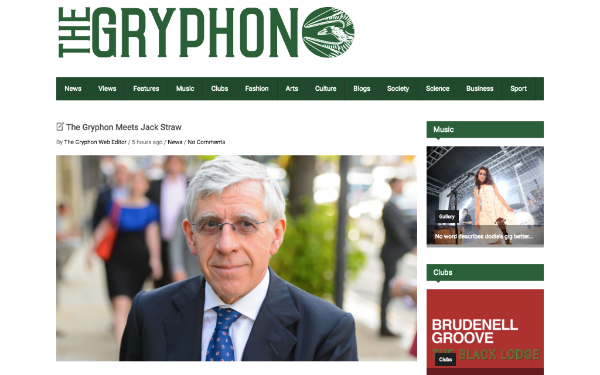 I always love to read an interview with a big name politican… and being the Foreign Secretary during the Iraq war makes Jack Straw quite a big name! What I love about this article is as well as his views on his time in office they link it so nicely to his relationship with the University of Leeds at that time. 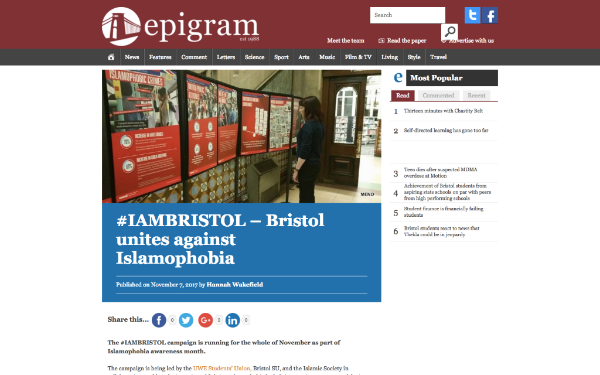 I’m choosing this story from Epigram because it’s an uplifting story about a campaign against Islamophobia. I really enjoyed this review of Blue Planet 2. The writer’s enjoyment of and enthusiasm for the BBC documentary really came through. Although I’m already hooked on, and loving, the series, I thought he added some interesting points, and told me some things I didn’t know about how it was created.